Whether I'm designing a giant, free-standing pendulum timepiece, a small heirloom table clock, or something in between, all of my timepieces start in the exact same way: a simple pencil sketch. If you're interested in a custom piece for your home, office, or commercial space, start by emailing a photo of the space to me at rick@clockwright.com. I'll respond with a free sketch & quote. If we reach an agreement on design, wood species, & pricing, I'll then make a very detailed drawing, sign it, roll it up, seal it with wax, & send it to you with my heartiest thanks. Then I'll get to work. Depending on the complexity of the piece, I'll spend at least three months building it, a few weeks tuning it, & a day packing it safely up. Then, depending on the circumstances, I'll have it shipped, or I'll deliver & install it myself. I'm currently working on a series of fully mechanical table clocks to be completed in 2018. Entitled L1, this glass-housed 36" x 20" timepiece will feature a gorgeous lunar phase complication as its centerpiece. A revolving indicator above the escapement will tell the phase of the moon throughout its cycle, & a brass mallet will gently chime the full & new moons each month, if desired. These clocks will run for 15 days per winding. Their gear teeth, pinions, & bushings will be made from Lignum Vitae, in the tradition of the legendary John Harrison, & the revolving moon phase indicator will be made from Gabon Ebony & Holly. 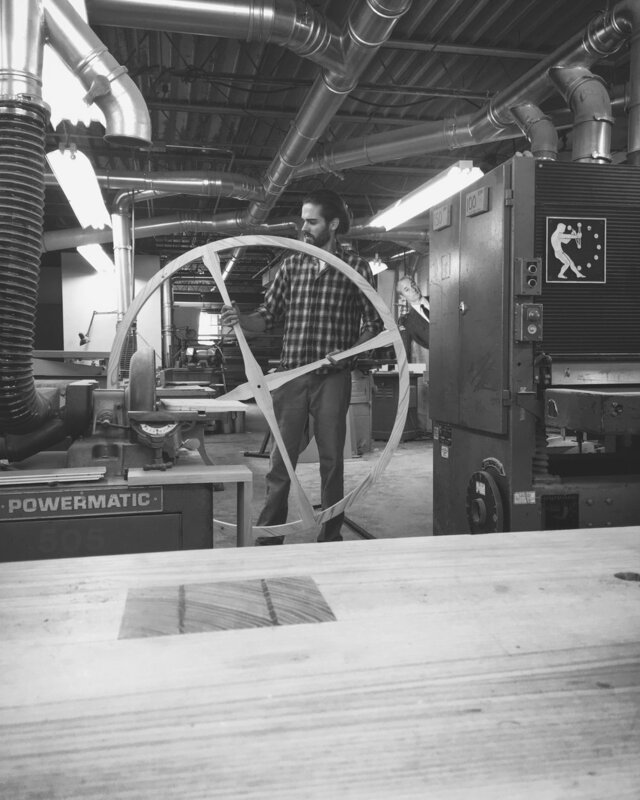 The rest of each clock can be made in the hardwoods of the client's choosing. Whether you'd like to reserve a place on the waitlist for custom work, or you're curious about a limited-run heirloom piece, or you'd just like to talk, please don't hesitate to get in touch. Thank you! I'll be getting back to you very soon.